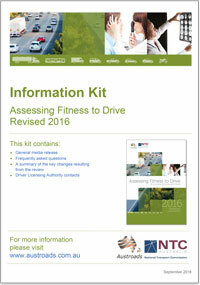 These forms have been developed to support the conduct of health assessments for fitness for duty for commercial vehicle drivers. They are intended to facilitate assessments required for schemes such as TruckSafe and NHVAS Fatigue Management Accreditation, as distinct from driver licensing. These health assessments will often be requested by a driver’s employer. It should be noted, however, that drivers can also seek a health assessment themselves; for example, if they are self-employed or need to have a Fitness to Drive Report in order to apply for a job. 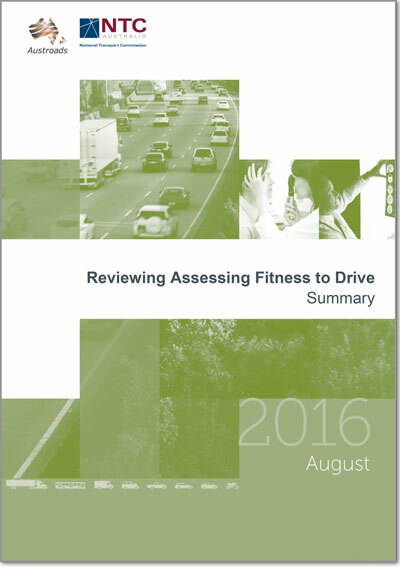 The Fitness to Drive Report should not be used for driver licensing assessments, such as for heavy vehicle licensing, public passenger accreditation or dangerous goods accreditation. The licensing/accreditation authorities responsible for these schemes will provide their own report forms. There is no such restriction on the use of the Driver Health Questionnaire and Clinical Assessment Record forms, although licensing authorities may provide their own versions of these forms as well. The forms may be reproduced or modified, including for commercial purposes. In using, reproducing or modifying the forms, it is not necessary that the source of the forms be disclosed. The Driver Health Questionnaire is a screening tool to help identify conditions that might affect a person’s capacity to drive safely. It is completed by the driver at the health assessment. The questionnaire is not a diagnostic tool and no decision can be made regarding the person’s fitness to drive a commercial vehicle until a full clinical examination is performed. The examining doctor will need to review the answers with the person to ascertain relevant detail and guide the clinical examination, including the conduct of additional tests. Dishonest completion of the questionnaire may be an issue. Drivers are required to sign the completed questionnaire in the presence of the examining doctor as a declaration of the completeness and accuracy of the information. The doctor then countersigns. If the driver refuses to sign, the examination should not proceed. The driver will also sign the declaration regarding disclosure of information to acknowledge that they understand and agree with how their health information will be used. The form should be retained by the doctor and filed in the driver’s medical record. For privacy reasons, it should not be returned to the requesting organisation, if there is one. 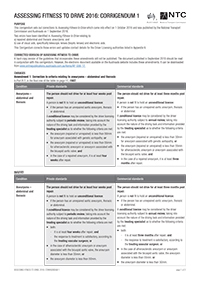 The Clinical Assessment Record is a tool to guide the health assessment process. It provides a standard format for recording the results of the assessment and the reasons for the fitness to drive conclusions. The doctor records the results of the assessment and retains the form in the driver’s confidential medical record. The doctor will then summarise the results in terms of the driver meeting the medical criteria on the Fitness to Drive Report form. For privacy reasons, the completed Clinical Assessment Record must not be forwarded to the requesting organisation, if there is one. The Fitness to Drive Report summarises the doctor’s findings in terms of whether the driver meets the medical criteria for fitness to drive. The report should not include any clinical information. The report should be provided to the requesting organisation, if there is one, and to the driver. The report should only be used for fitness for duty assessments conducted under schemes such as Trucksafe and NHVAS Fatigue Management Accreditation. It should not be used for licensing assessments – forms for this purpose will be provided by the licensing authority.